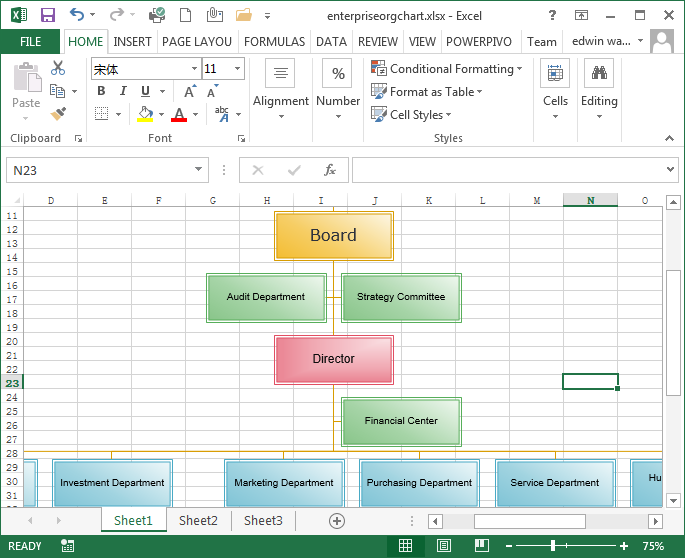 With Edraw org chart software, it is easy to create great-looking organizational chart in Excel. It can support to import data from Excel worksheet and export the vector excel symbols. When it comes to making org charts, one of the best tools for the job is Eraw. 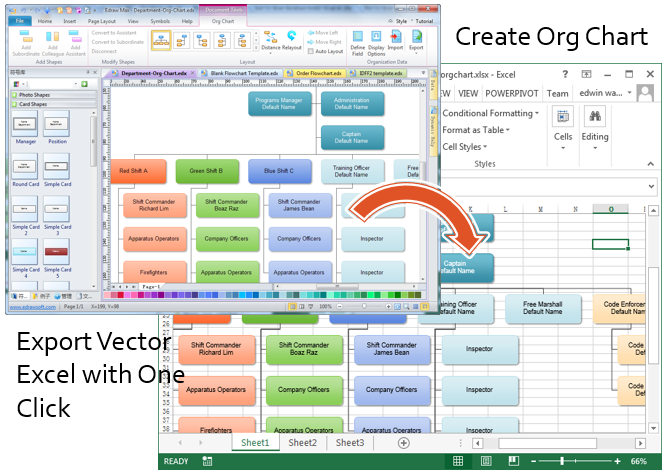 This feature-rich Windows application comes with many ready-made templates which can help you quickly create organizational charts and the like. 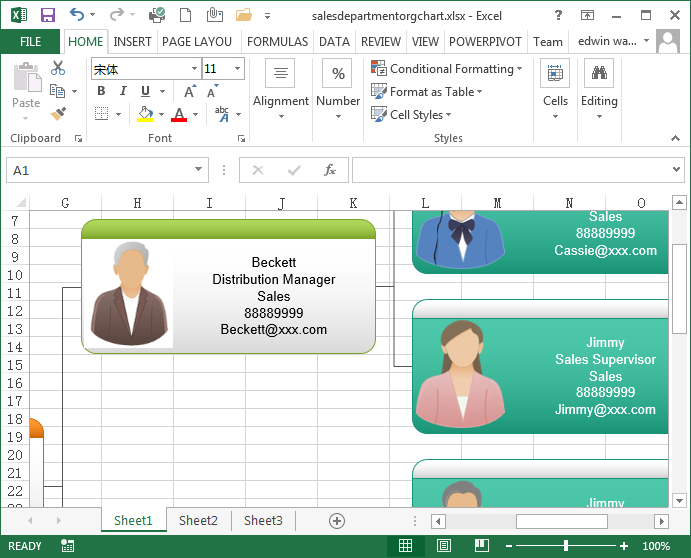 When you finish creating your organizational chart, one click on the upper tool bar will transfer the organizational chart into MS Excel. The exported organizational chart shapes are vector-level in the MS Excel. Designers can also modify text, recolor shape, apply quick style in MS Excel.